Welcome to 2017 – a New Year with tremendous possibilities for each of us to make a difference. I do trust you had a good Christmas with family and friends. 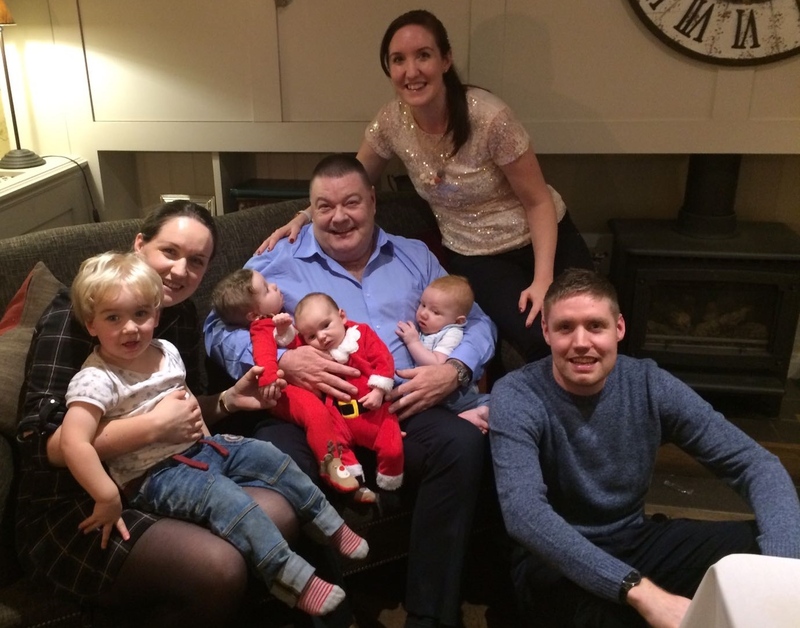 I managed to get back to England on 23rd December, so just enough time to pack a bag and head to Manchester, where I spent Christmas with my family, including 4 grandsons! There was a noticeable difference from last year when I had just one. But a truly wonderful time and for sure, the 4 boys – Harry, Charlie, Jonah and Oliver are all beautiful. But I maybe a little biased!! It was certainly difficult getting them all on my knees at the same time!!! With family boasting to one side, I need to sound the trumpets on the amazing commitment and generosity shown by so many of you around Christmas and leading up to January 1st. I was absolutely overwhelmed and totally humbled by the decision of so many to respond to the challenge I presented of endeavouring to meet some urgent needs within the Smiles Foundation and various end of year appeals. Well, you certainly responded and I truly Praise God and give Him all the Glory for an incredible end of year income exceeding more than £65,000 / $81,250 – Amazing! I was particularly moved by the kindness and good wishes expressed by many of my staff, both to my 60th birthday mile stone and their generous support to my End of Year Appeal. 1.The RAPA community investment for the Hygiene Unit, 11 Houses and the Church of over £100,000 / $125,000 is fully paid for and no debt will be carried forward. 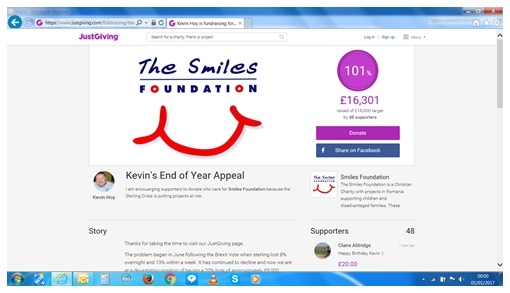 2.The End of Year Appeal for £16,000 / $20,000 was fully supported, enabling Smiles to cover all the excess budget items pressured by Brexit and the drop in the value of sterling. 3.Additional funds given to ‘Wherever the Greatest Need’ has enabled significant reductions in Project Deficits for Gepiu, Emergency Housing and Tileagd. 4.We were even provided some ‘Seed Money’ for the new project of an Adult Assisted Living facility to be developed at the Tileagd Complex. More about that in a moment! The only remaining debt we are carrying forward into 2017 is the Bank Loan outstanding on the building of JFL 2 Disability Centre. That has a balance of around £50,000 / $62,500 which I hope to see funds raised and donated throughout the year to see the debt significantly reduced or even cleared. Let me outline a little more concerning our development at the Tileagd Community Complex. After four years of partnership with the State we could see the major changes taking affect which, amongst other things, was reducing the overall number of classes and the number of children accommodated at the Smiles Complex. Throughout last year I was struggling to balance the overhead costs of maintaining such a large building with a reducing operating project. However, through continuous discussion and assessment of options throughout the year – we decided to look into the introduction of a new project to share the building. It has been decided that half the building can accommodate all the activities we currently have and due to the specialist nature of the Church and Medical facilities, it was agreed the 8 offices in that part of the building could be converted to Classrooms, Staff rooms and Administration offices and from January 9th – that is exactly what will happen. 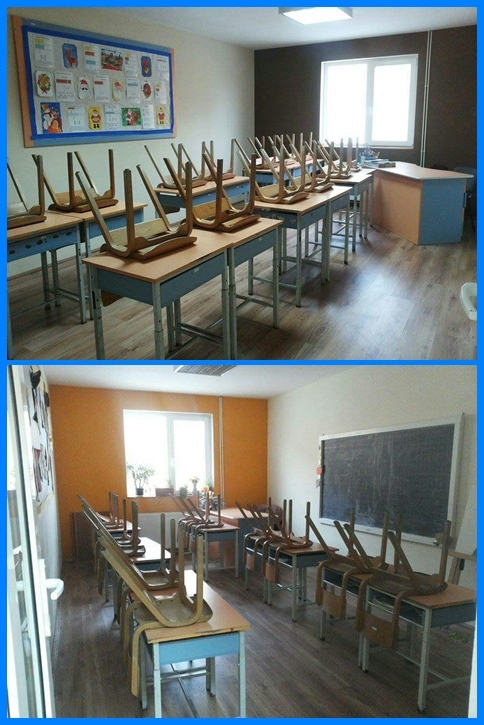 In fact, the school has already moved and is ready for the new term to start in their new classrooms. Considerable work was done in December to assess the task of converting what was the school into a fully Residential Adult Assisted Living facility. The new facility would be for any adult aged 18 or above in need of specific care which they or their family are unable to provide. 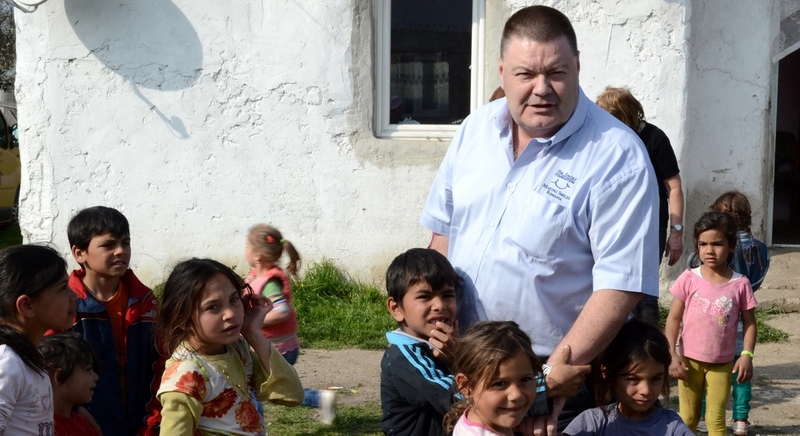 The State currently has no such facility, so once again – Smiles would be providing a ‘first’ for Bihor County. Architects and Builders were consulted and drawings done and valuations assessed. An anticipated price tag for all the structural changes is expected to be up to £47,500 / $59,375. So this project is the focus of all Capital Fund-raising for 2017, unless you are committed to helping us clear the JFL 2 Bank Loan. But with around £100,000 / $125,000 total for the two projects – I believe we can work together to clear the entire amount during the coming year. The Assisted Living facility will have additional furnishing costs, but some of those costs could be avoided if we are fortunate again with donations that come in the Container Truck. We will need Hospital Beds again, as we did at JFL and ECO – so up to 36 beds needed and if they were in the April Container from Northern Ireland, it would be a huge answer to our current prayers. More new furniture will be needed of wardrobes, chests, bedside cabinets, High back chairs, sofas and so on. As with many of our facilities, rooms will be available to sponsor and over the next few weeks, specific costs will be calculated and announced for fund-raising plans and targets to be set. I know there has bee n a lot of support and fund-raising of late, but as we start a new year, we want and need to get off to a good start so we don’t spend later months catching up on a difficult January and February. 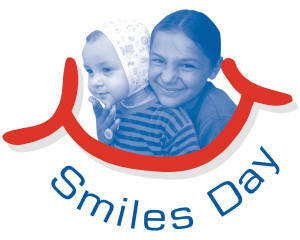 This is why we launched the concept of ‘Smiles Day’ for the first weekend in February. Barbara’s report explains more this month, so be sure to take a read, but basically we counter the traditionally difficult first 2 months of the year, by holding fund-raising Smiles Days around the country, which helps tremendously to get the new year off to a great start. As Barbara says, if holding an event now isn’t best for you, plan it and make a commitment now for a date later in the year. Let us know your commitment so we can support and budget accordingly. So don’t forget – the two Capital Projects your fund-raising is supporting in 2017 is TILEAGD – Adult Assisted Living Facility and JFL2 DISABILITY CENTRE – to clear the Bank Loan taken to complete this amazing facility. Our other major focus as we start the new year is support of £3,000 / $3,750 per month needed to operate the JFL2 Disability Centre at full capacity. It is currently serving 12 dementia residents, but has so much to offer through its Sensory Room, Hydrotherapy Pool, Computer Learning Suite and Activity Room. Please help us see this fully functioning by Spring 2017. Be assured …. once the operating costs are sponsored, we will work to find the staff and begin functioning each and every day for the tremendous needs existing among the disabled. In addition to regular reports from Maria, Georgi and Adi – we have also launched a new feature this month which we hope to see featured every month of the year to come. A Thankful Heart ….. This features one of our special beneficiaries, supported t hrough one of our projects but has a truly ‘thankful heart’ for all you have helped us do in their life. 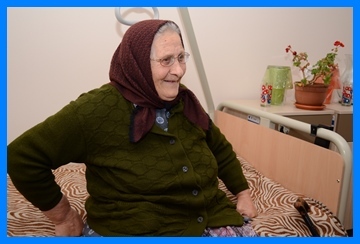 We start with the story, pictures and video from Floare Popa – a resident of our Elderly Care Home in Oradea (ECO). Don’t miss it, it will warm your heart and reinforce the importance of the support you give throughout the year – whether prayerfully, financially or by visiting on a Mission Trip. I know many of you do ALL 3 – so thank you! Lots of people think about their Mission Trip plans in January, so please feel free to contact Dawn at the office to discuss options of coming on a Mission Trip during 2017. Hundreds of people come every year and many come back year after year. It must be something special, so make your plans now and we look forward to seeing you in Romania sometime soon. We had a fantastic month in December with 57 Mission Trip guests. The Video we made to celebrate our trips in 2016 has been very popular and so I have decided to keep it on the Homepage for another month. If you haven’t seen it, take a look. If you have already, check again and you’ll be calling Dawn straight afterwards to book your trip this year! As some of you will know, January 5th I am back in hospital for the other Hip Replacement surgery and will be Home based for 6-8 weeks of recovery. Hopefully though, within a few days of the operation I’ll be back at the computer overseeing everything that Smiles is endeavouring to do along with making plans for the months ahead. Thank you for being a special part of all we do. May God richly bless you and your family as you seek to serve Him Happy New Year throughout 2017.